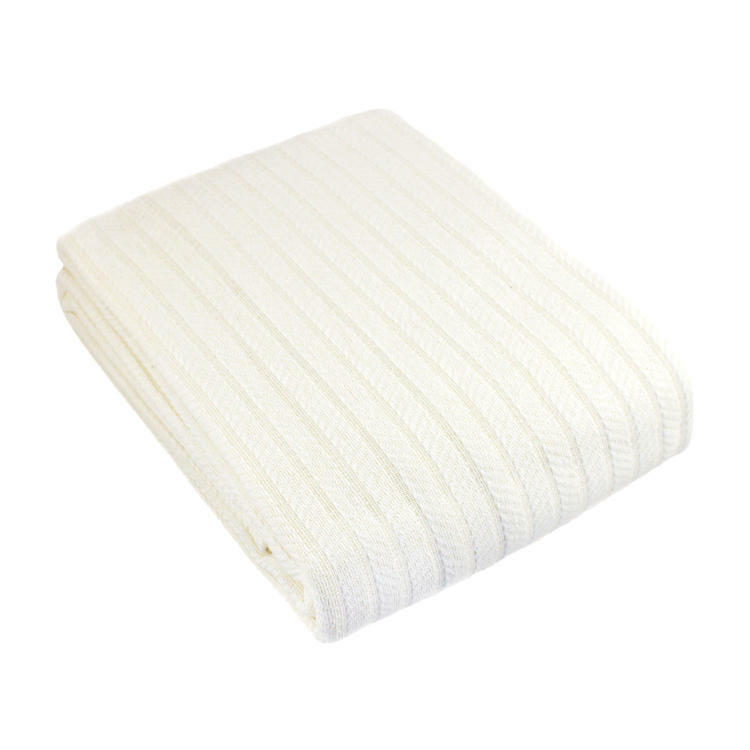 The All-Seasons Blankets provide cotton softness & warmth for guest at an economical wholesale price. 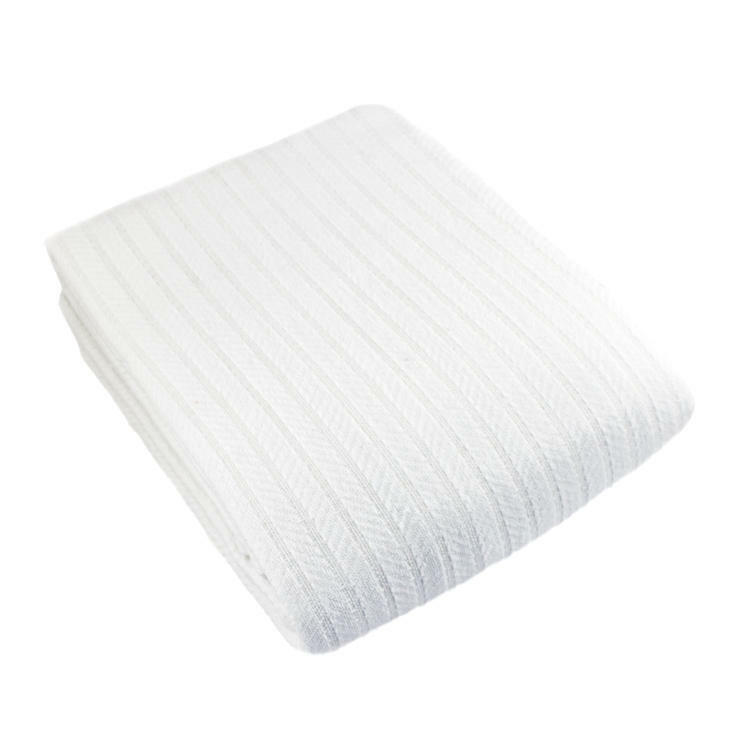 Loom woven with 100% cotton yarns, the lightweight blankets offer a soft & cozy comfort that guest will love. 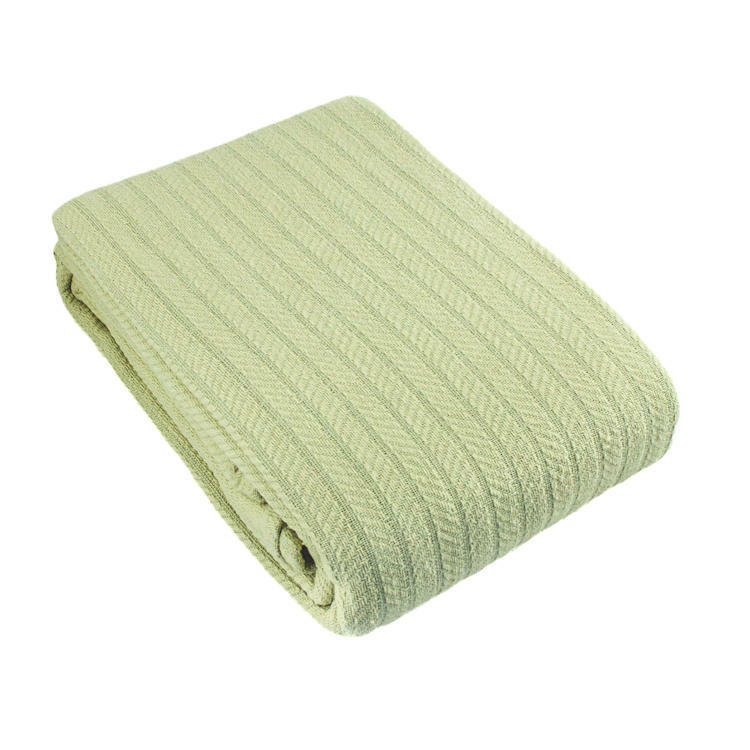 Perfect for guest to use as a throw blanket in warmer months or for adding an additional layer of style and warmth to guest beds in colder winter months. 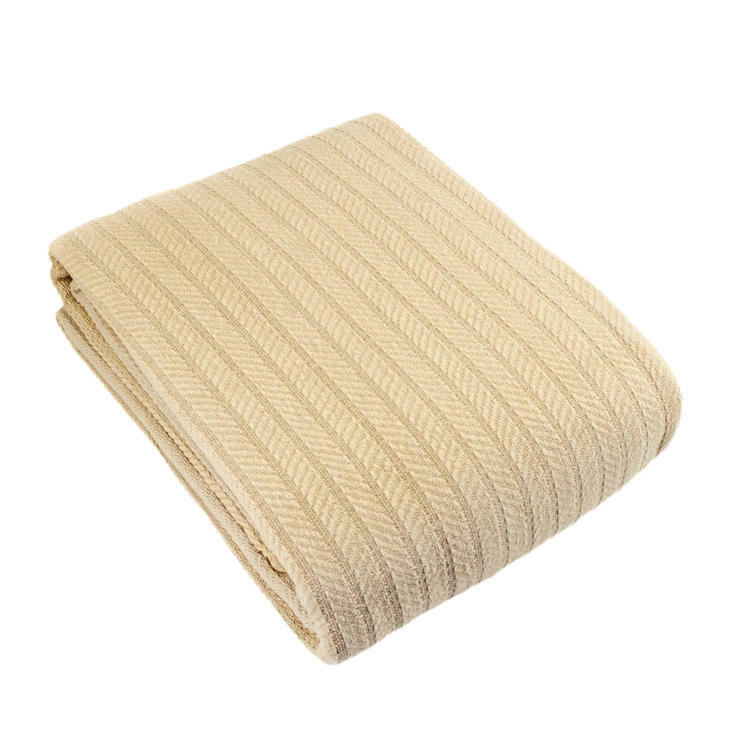 These lightweight cotton blankets feature a stylish herringbone weave in a decorative linear cable design. A clean, self binding edge compliments the linear design while adding strength for longer blanket life. The All-Seasons Cotton Blankets are an affordable option when needing to give your guest the cozy feel of 100% cotton warmth in any season of the year. Available wholesale by the case in Twin, Full/Queen and King sizes in your choice of 6 beautiful colors including: White, Ivory, Baby Blue, Royal Blue, Sage Green and Tan. All-Season Cotton Blankets - soft, lightweight warmth that is perfect for year round use. Beautiful Loom Woven Design & Construction - Elegant herringbone weave with a linear cable pattern. 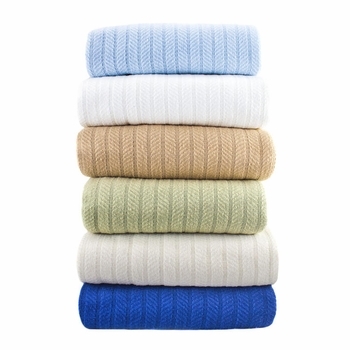 100 Percent Cotton - sustainable, all-natural cotton fiber provides superior softness, breath-ability and warmth. 1/2 Inch Self Binding Hem adds strength and provides a clean, crisp edge. 6 solid colors available: White, Ivory, Baby Blue, Royal Blue, Sage Green and Tan. Purchase in bulk by the case at low wholesale prices with Free Shipping. Tumble Dry on "No Heat" or "Low Heat" setting. Wash with like fabrics and do not overload washer or dryer for longer lasting durability.